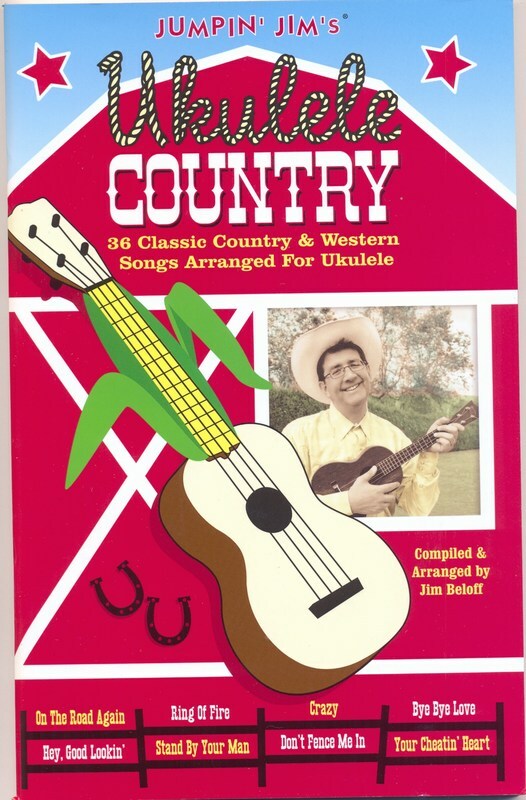 This is a collection of 36 classic country and western songs arranged for GCEA-tuned ukulele. Includes hits made famous by artists such as Hank Williams, Patsy Cline, Johnny Cash, Elvis Presley, Willie Nelson, Glen Campbell and Gene Autry. Songs include Don't Fence Me In, On The Road Again, Ring Of Fire, Stand By Your Man, Bye Bye Love, Hey, Good Lookin', Crazy, Your Cheatin' Heart and 28 others. Also includes chord chart and fun country photos and graphics. 80 pages.